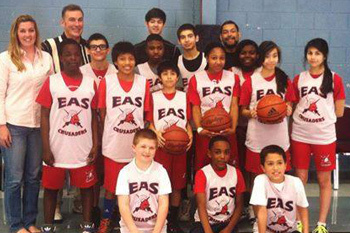 The “Crusaders” athletic program has been a great addition to the Eddlemon Adventist School (EAS) curriculum. With our athletic program we are able to reinforce physical, social, and spiritual concepts that are addressed every day in the classroom. 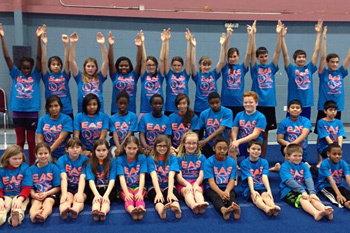 EAS athletics include: Basketball, soccer, and gymnastics for 2nd-8th grades. 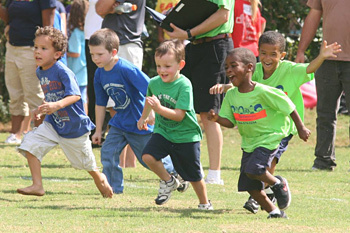 In addition to these activities, EAS runs Track and Field Day, where other schools come to our campus to participate in many sporting activities such as running, tug-of-war, softball toss, and more. 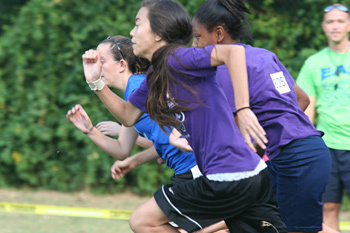 Our athletic program has added a spirit of camaraderie and belonging that has the Eddlemon campus buzzing. Our goal for our athletic program is to allow our students to lift each other up, work together for a common goal, and to represent Christ in their selflessness and humility towards others. Crusader gymnastics team sporting our new T-shirts for the MPA Acro Clinic.